Does Your Travel Insurance Cover Rental Car Damage? You’ve got your flight booked, your hotel room reserved, and a list of adventures you want to embark on ready to go. Now, how are you planning to get around once you’re there? In some places, public transit is an option. In others, primarily cities, you might be able to get taxis or a car service. Perhaps you can even walk and bike around if you’re headed somewhere relatively small. In most destinations, however, you’re going to need to rent a car. 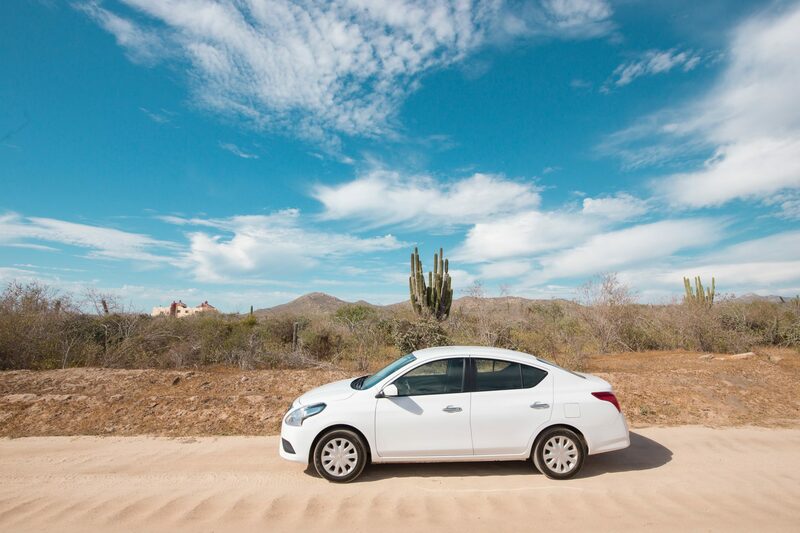 For travelers over the age of 25, renting a car a relatively easy process. But we’d be willing to bet that most of us have been in a situation in which we think all of the details are squared away, and then we get to the counter to pick up the car and suddenly, the pressure’s on to add collision insurance to the package. When you have a professional warning you about how much it could cost you to get into a collision without their coverage, it can be tempting to give in and get it. But if you’ve already purchased travel insurance with rental car collision coverage, it could very likely be an extra and unnecessary expense. Which begs the question…is damage to your rental car covered under your travel insurance? If you opt for a comprehensive travel insurance plan, car rental collision coverage is often offered as an add-on for an additional fee. Generally speaking, though, that fee will be significantly less than what you’ll pay if you opt for coverage at the rental car desk. Plus, most of the time, your coverage limit will be a lot higher through the travel insurance add-on than when you go with the rental company’s offer. What’s Covered by Travel Insurance? In terms of what’s covered by your travel insurance plan when it comes to rental cars, it’s generally anything outside of your control that causes damage to the vehicle. If your locked rental car is broken into while you’re traveling, the travel insurance add-on will cover any damage or vandalism of the vehicle. A travel insurance policy most likely will also include personal effects coverage to reimburse you for the items that were stolen as well. To ensure this type of coverage, always make sure the car is locked when you leave the vehicle. Another big bonus that comes with getting collision insurance through your travel insurance provider is that if you do damage your rental car, it won’t impact your car insurance rates at home. As many have learned the hard way, getting into an accident can drastically increase your monthly insurance fees, so this is the best way to avoid that. What’s NOT Covered by Travel Insurance? Finally, the collision insurance add-on won’t cover all types of vehicles and some rental companies simply won’t accept outside insurance. If you’re planning to rent a motorcycle or RV, for example, you’ll likely need a particular insurance policy through the rental company. But when it comes to your basic rental car, your best bet is to look into which companies accept outside insurance and select the add-on option when you choose your travel insurance plan. It’ll save you a whole lot of time, money, and worry. If you’re ready to start pricing out your travel insurance package, we have you covered–check out our free price quote tool here. Get an instant travel insurance quote!